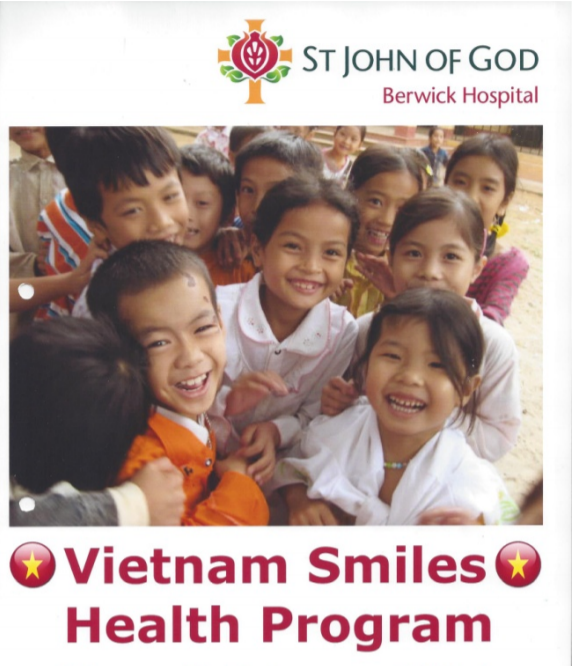 The Vietnam Smiles project is a humanitarian program initiated by St John of God Hospital, Berwick. It began in 2009 and provides hospital support in maternity care, as well as education on hand hygiene, infection control and dental hygiene to three remote villages in the Hoe Binh province approximately 190 Km South West of Hanoi. They were Mia Chau, Pieng Ve and Hank Kia. undertaken by their grandparents. The children start school at aged 5 years; they only attend school between the hours of 7am and 11am, after which they are free to help mum and dad in the rice fields or looking after the bullocks etc.